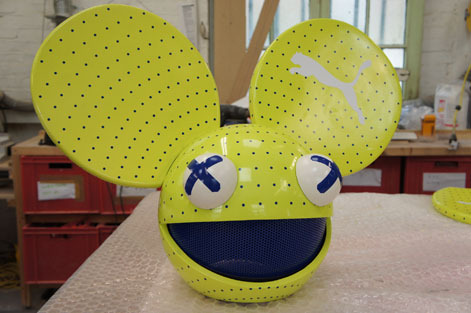 Puma teamed up with DJ Deadmau5 and ran a competition to win his head. 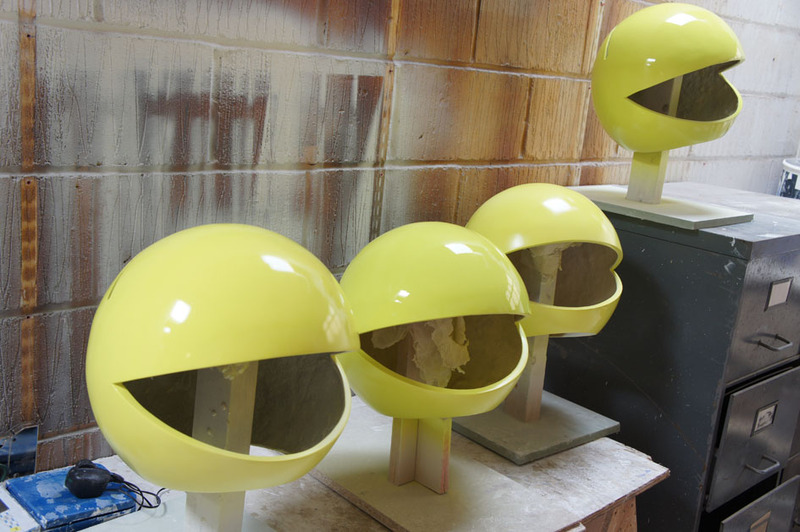 We made the heads. 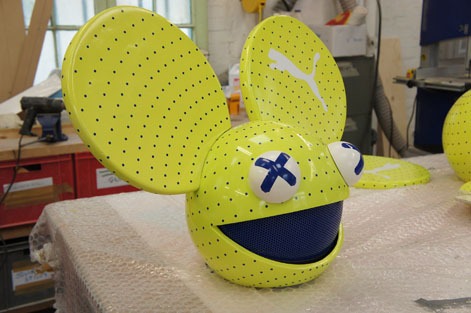 The basic DJ Deadmau5 head is a bespoke fibreglass sphere mounted onto a skating helmet. 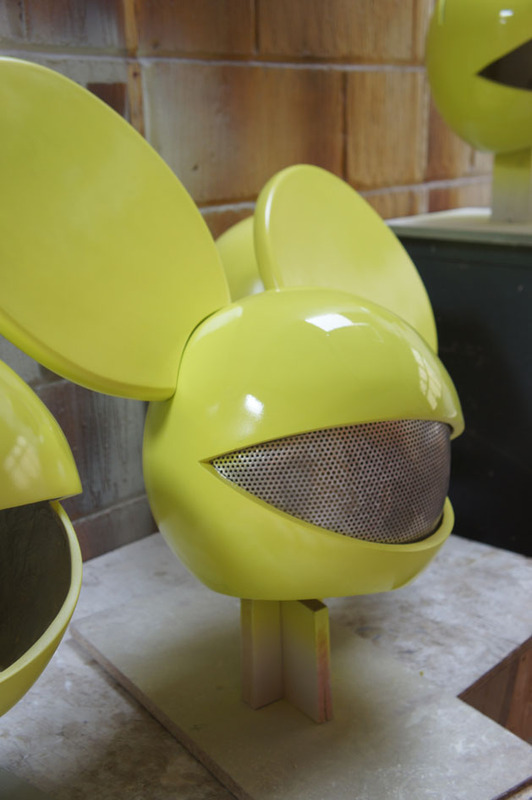 The visor is shaped from laser-cut aluminium. 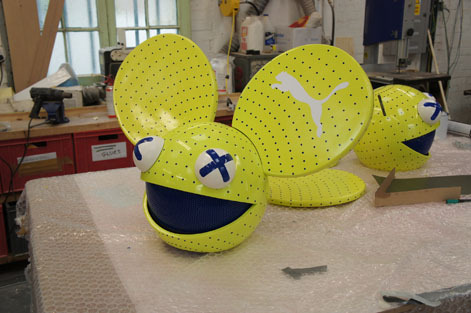 The ears are then fitted and the whole thing is sprayed, vinyled and lacquered. 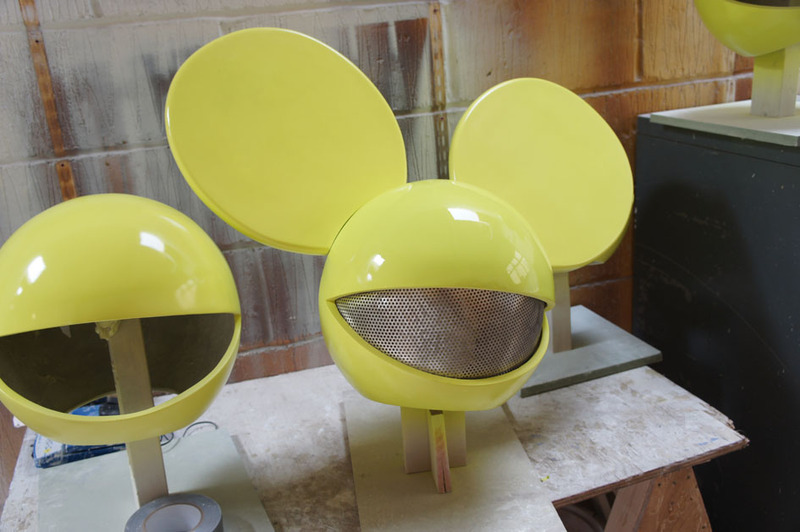 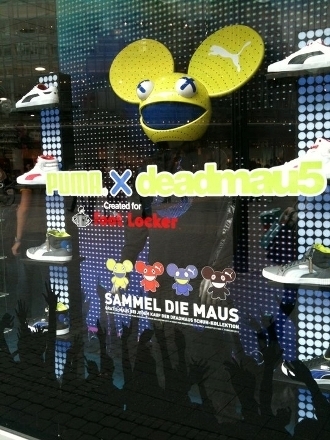 The deadmau5 heads were displayed in branches of Footlocker around Europe, where they ran competitions to win a head.